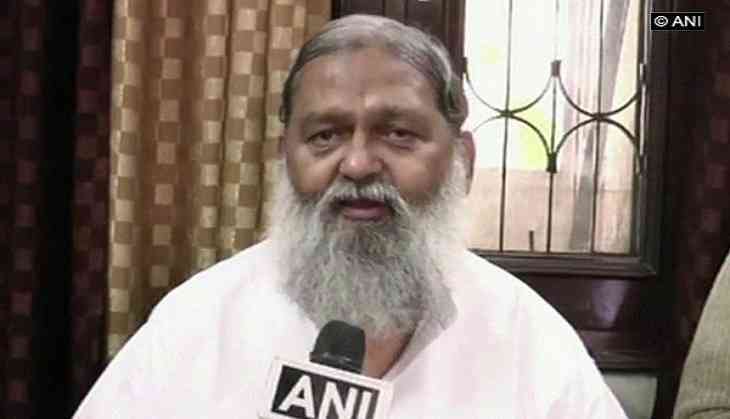 Bharatiya Janata Party (BJP) leader and Haryana cabinet minister Anil Vij on Monday labelled the opposition leaders, who are likely to snub the Rashtriya Swayamsevak Sangh's (RSS) three-day lecture series in New Delhi, as "ghosts" who are afraid of entering the RSS' "temple of patriotism." Taking to his official Twitter handle, Vij said, "The RSS is a temple of patriotism and ghosts never enter temples as they are afraid of them." Vij's remarks come amid reports that several opposition leaders, including Congress president Rahul Gandhi, Samajwadi Party leader Akhilesh Yadav, and Communist Party of India-Marxist (CPI-M) member Sitaram Yechury will not attend the three-day lecture series in New Delhi that begins on Monday. Speaking to ANI, Vij reiterated, "The RSS is a temple of patriotism and ghosts never enter because they are afraid. Maybe that is why some people are opposed to attending the lecture." Key issues of national interest, including the Ayodhya temple issue, agriculture, rural health and economy is expected to be discussed in the lecture series, which will be headed by RSS chief Mohan Bhagwat. A host of high-profile dignitaries, including sportspersons, film stars and political leaders have been invited for the session.